In a report by Newzoo, it predicts gamers globally will generate a total of $99.6 billion in revenues in 2016, up 8.5% compared to 2015. 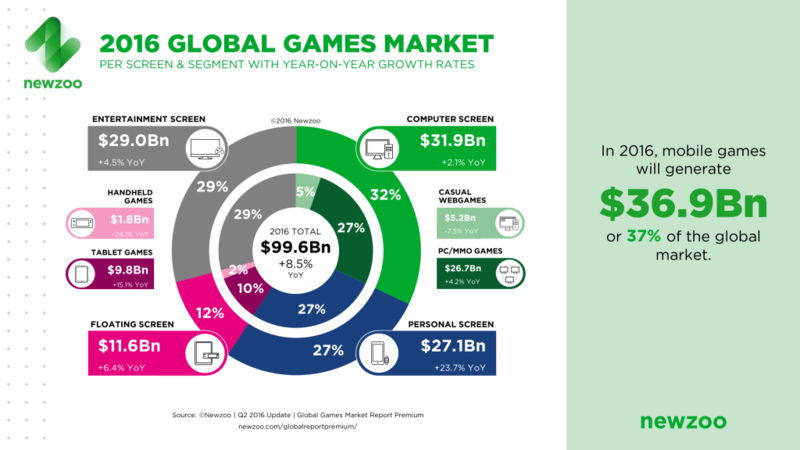 For the first time, mobile gaming will take a larger share than PC with $36.9 billion, up 21.3% globally. Newzoo estimates gamers worldwide will generate a total of $99.6 billion in revenues in 2016, up 8.5% compared to 2015. For the first time, mobile gaming will take a larger share than PC or Console with $36.9 billion, up 21.3% globally. 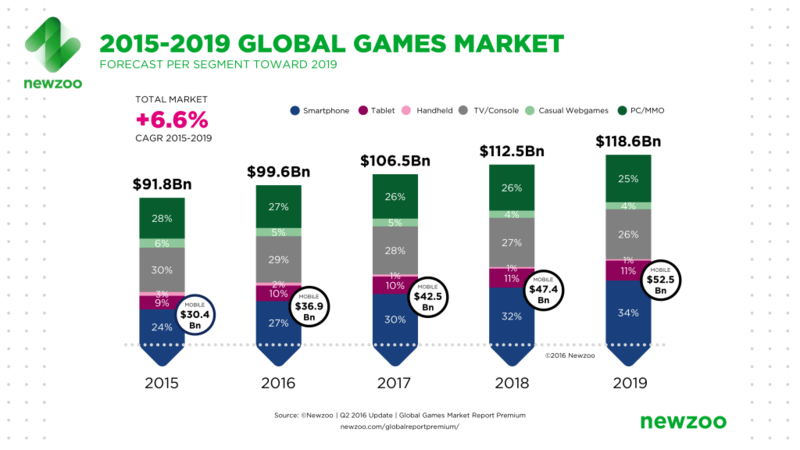 Newzoo expects the global market to grow with a CAGR of +6.6% towards 2019, eventually reaching $118.6 billion with mobile gaming at $52.5 billion. APAC continues to dominate on a worldwide scale, accounting for 47% of the market with China alone accounting one quarter of all global game revenues.